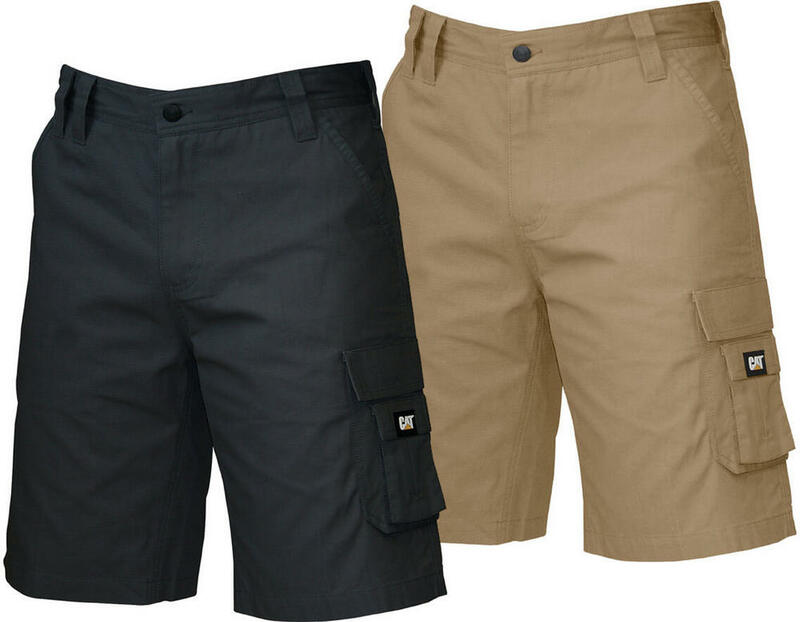 These cotton CAT Workwear work shorts are tough and come with a diamond gusset crotch for ease of movement. The ripstop, outer fabric offers resistance to abrasion and snagging, making these a durable purchase. It comes with multiple reinforced pockets, which includes a mobile phone pocket with hook and loop fastening on the right thigh, your belongings and essentials are always nearby. The zip fly with shank closure offers a secure fit and the waistband features a shirt grip to prevent the work shorts riding down as you work.